EXCLUSIVE: O-T Fagbenle (The Handmaid’s Tale, Looking, BBC’s The Interceptor) has joined Marvel’s Black Widow in a leading role opposite Scarlett Johansson. Stranger Things star David Harbour is joining Scarlett Johansson in Black Widow, Marvel’s stand-alone feature on the Avengers spy turned superheroine. We also hear Rachel Weisz is a person of interest for a role in the film but currently there are no negotiations taking place as no official offer has been made. Rising actress Florence Pugh is in talks to star opposite Scarlett Johansson in Black Widow, Marvel’s standalone feature on the Avengers heroine. The feature is scheduled to shoot in London in June. Pugh will play a spy on the same level as Romanova, likely her moral opposite. 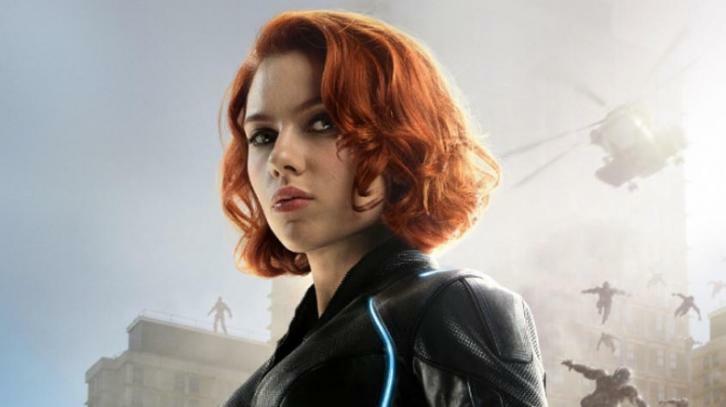 Cate Shortland, the Australian director perhaps best known for the Nazi drama Lore, has signed on to direct Black Widow, Marvel’s action-adventure project that will star Scarlett Johansson. The move caps off a search that lasted over half a year as Marvel met with over 70 or 75 directors in order to find its ideal candidate. A female filmmaker was the priority even as the search stalled at one point and the studio looked at male directors. While they are looking at female filmmakers, Deadline hears keep an eye on Australian helmer Cate Shortland on the short list. Her recent credits include Lore and most recently Berlin Syndrome. Marvel Studios has been looking for a director to break its glass ceiling with Black Widow and has been meeting with filmmakers such as Deniz Gamze Erguven (the Turkish movie Mustang), Chloe Zhao (The Rider) and Amma Asante (A United Kingdom), among several others. That search is still ongoing, according to sources. Schaeffer is an up and coming scribe who broke out with her Black List script “The Shower,” a comedy about an alien invasion during a baby shower which caught the eye of Anne Hathaway, who quickly attached herself to star in the pic. Hathaway was so impressed with her work that she soon tapped Schaeffer to write “Nasty Women,” a new female-centric take on “Dirty Rotten Scoundrels” that also stars Hathaway.